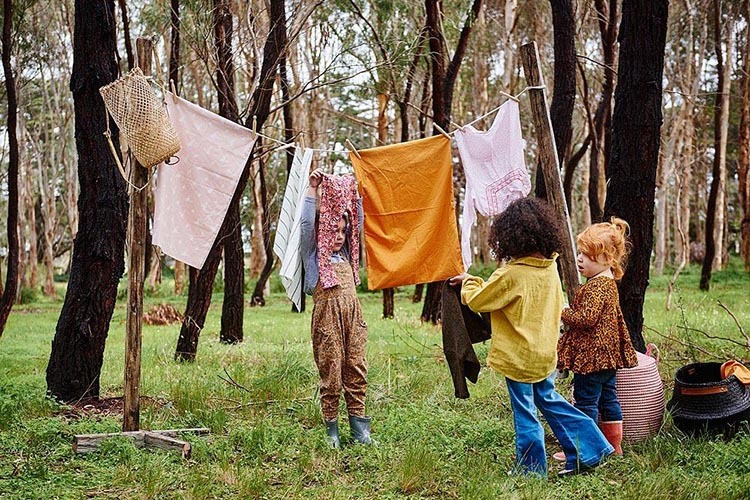 It is a notion that is often ignored (or forgotten) as lives get busier and “free-time” is spent sitting in front of some “techy” device. 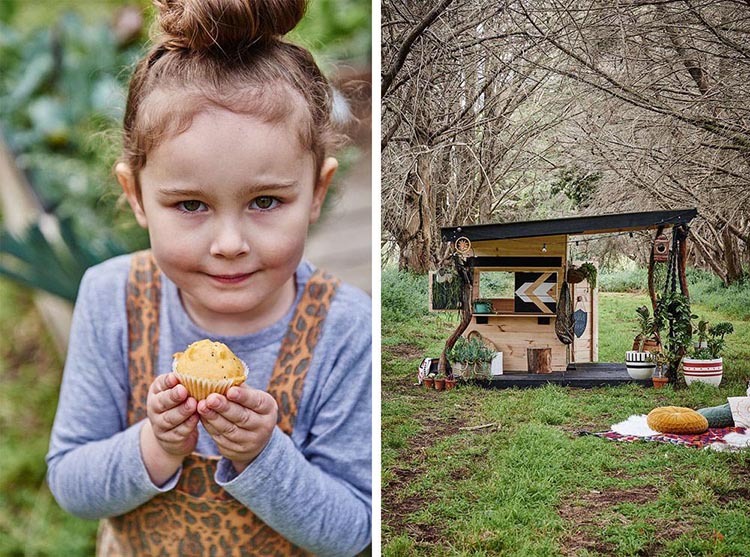 It is promising therefore that there are those who are beginning to rise against allowing this new “norm” - with movements popping up such as forest or “outdoor” schools, adventure parks and playgrounds, and in the creation of back-yard “cubbies” such as these picturesque examples by Melbourne-based ‘Castle and Cubby’. 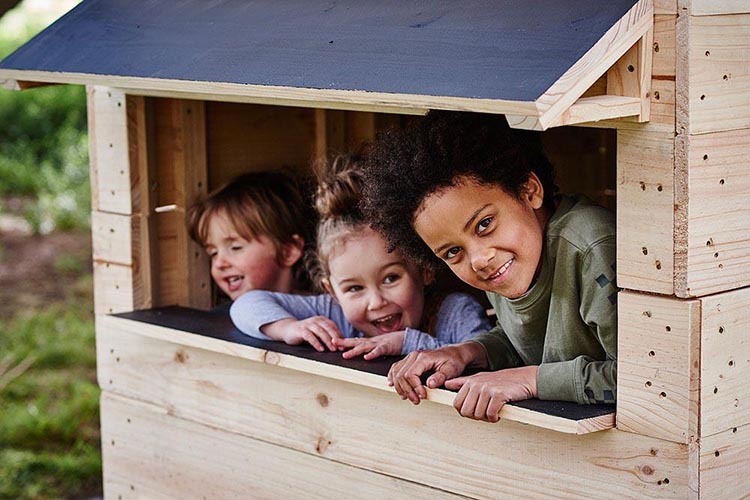 Kellie and Jonathan Stores began their ‘Castle & Cubby’ business when pregnant with their second child and were inspired to create sustainable (so no bright plastics!) 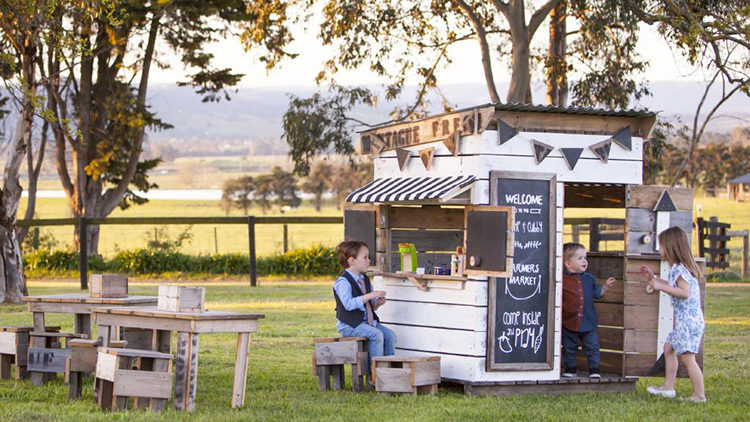 products for their little people with BIG imaginations. 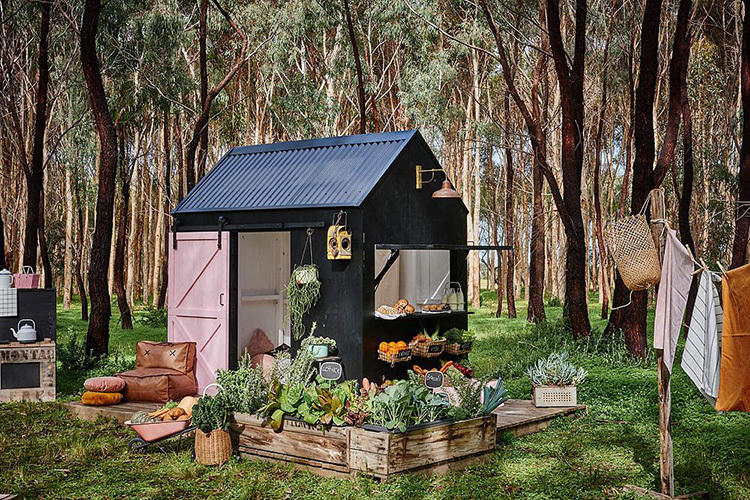 Above, a farmers market inspired cubby. 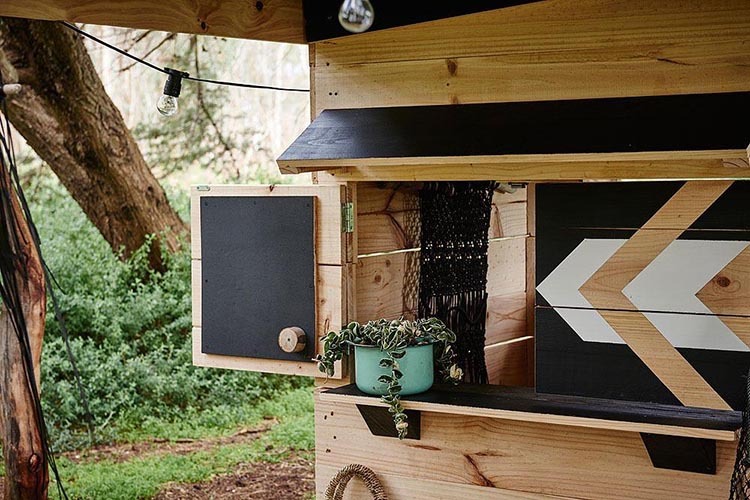 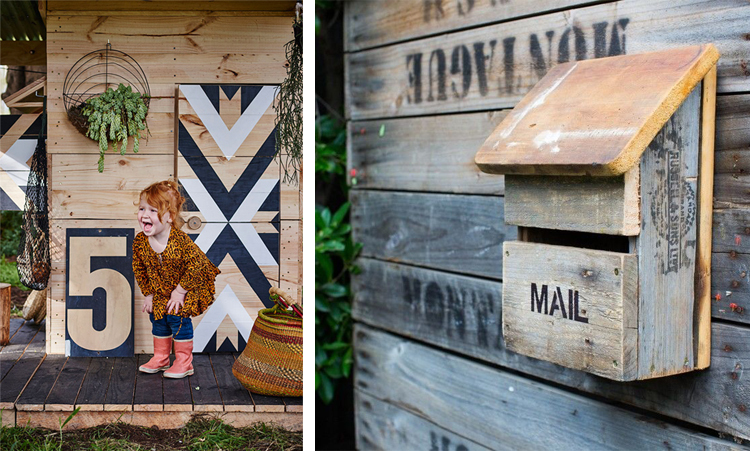 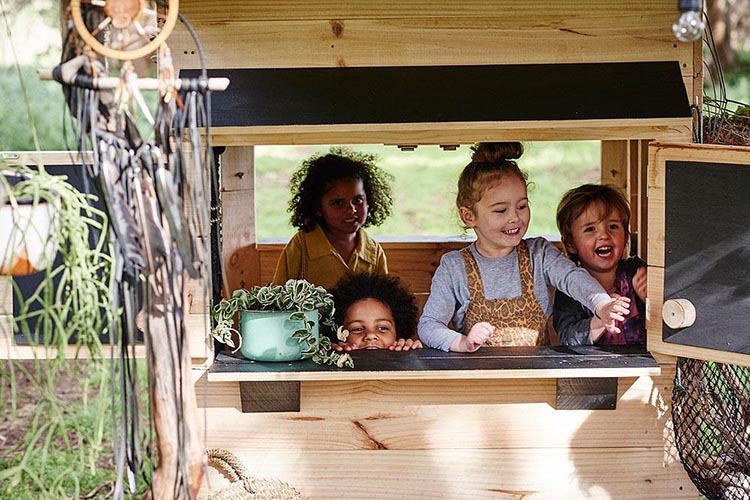 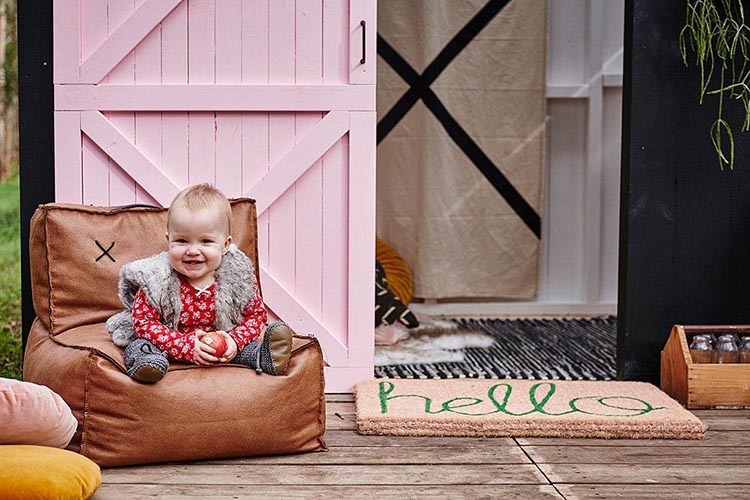 Made from (mostly) recycled apple crates, their products aim to inspire kids’ imaginations by providing a space for them to mimic the world they live in. 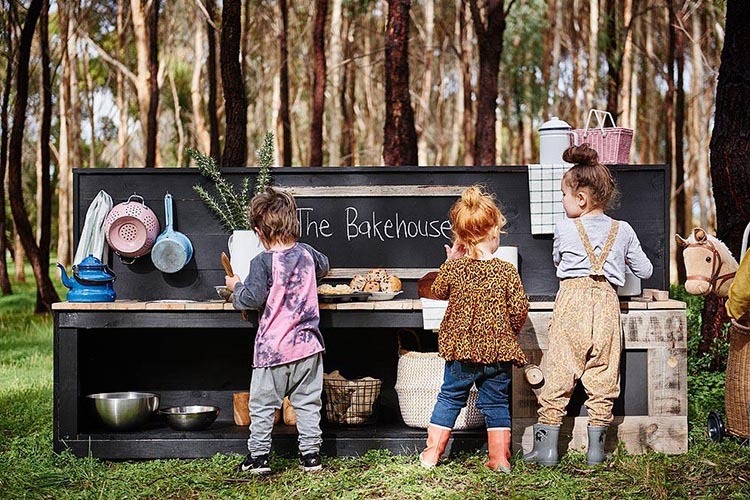 Having two young ones means they are constantly inspired as they watch the real-life games enacted by their kids - they are always creating, designing and testing new ideas in the backyard. 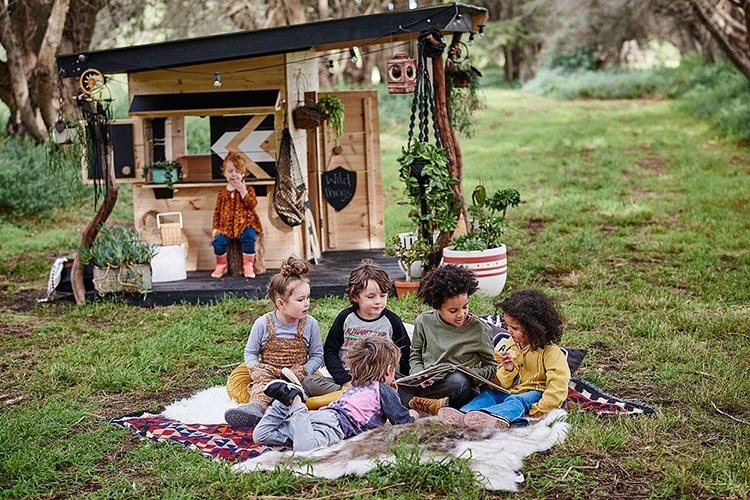 As Kellie says: “We are passionate about creating spaces not just for children but for families to connect and be reminded of what good old fashioned outdoor fun is.” Activities that inspire sharing, role-playing, interacting, creating stories and dreams. 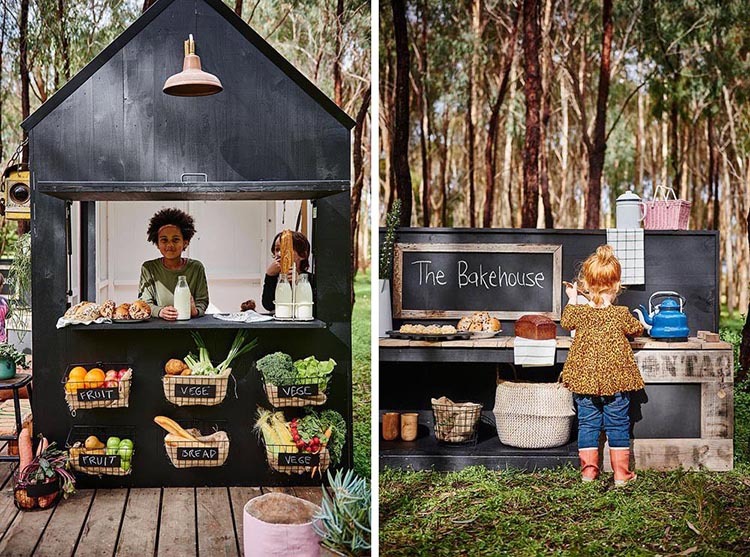 The cubbies, whilst each being uniquely hand-crafted have taken the form of farmer’s market producers to grocery shopkeepers and baristas, beach ice-cream carts and more.